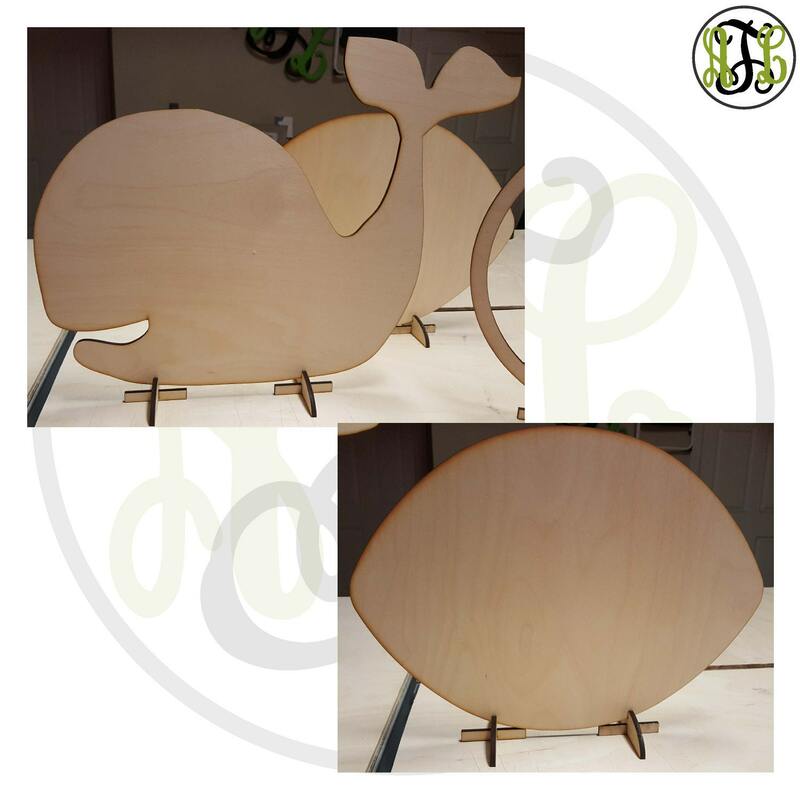 This stand works with pieces that have a straight bottom (the mermaid tail and the whale in the photos), a circle (the circle 'A' in the photos), an oval (the football in the photos), or pieces with 2 points of connection to place in the stand (the 'M' in the photos). The shape should not be too heavy to one side. In other words, void of wood on one side, and heavy of wood on another will put it off balance. 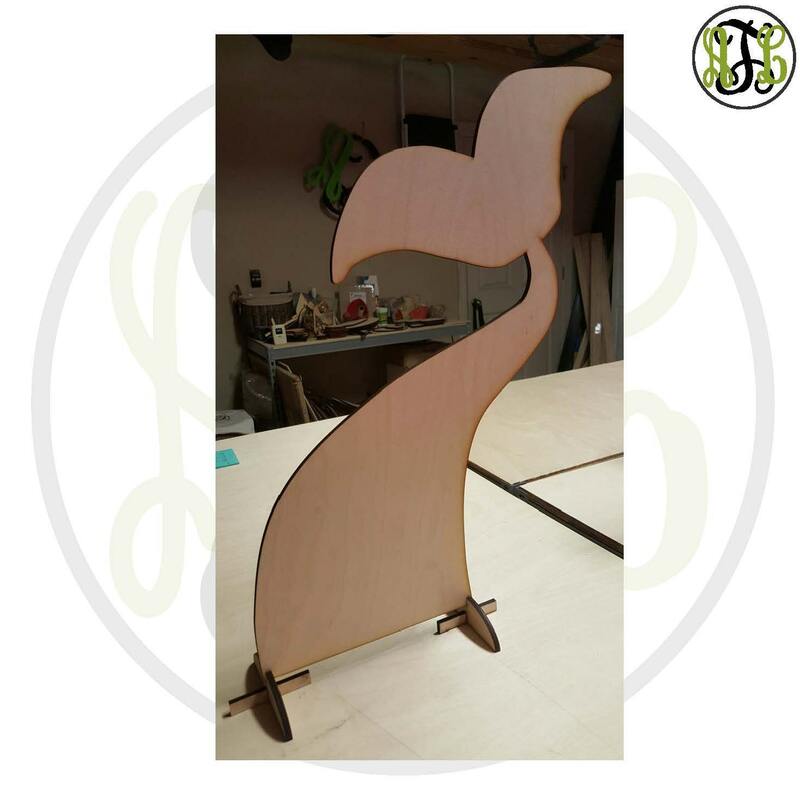 The bottom part of the shape that will sit in the stand should be no less than 4" wide for placement of each part of the base stand, and the shape should be no taller than 15". 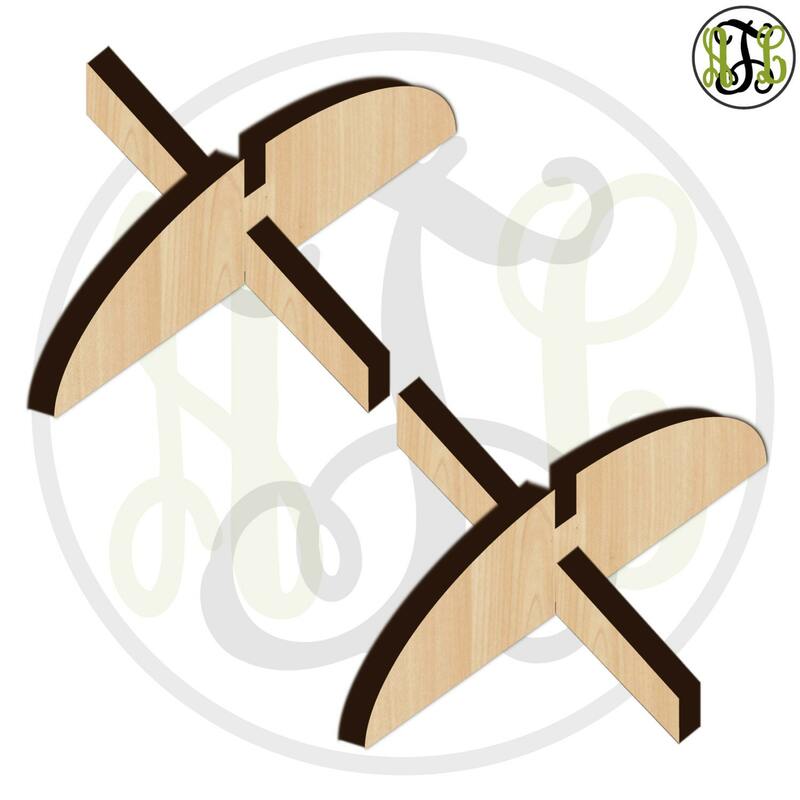 You will get 4 pieces...2 half ovals and 2 rectangles to make 2 stands that will hold 1 shape. It is easy to assemble. Simply slide the rectangular piece, side-up (the side with the notch), into the notch on the flat side of the half oval until the notches interlock. For greater stability, I would recommend applying glue to the notch surfaces to keep them attached. See the listing photos. If you need the shape to fit a bit more snug in the notch, add a little clear tape where the shape and the half oval connect. Put a small piece of clear tape on the shape then slide into the notch. This listing AS PRICED can only be purchased along with another listing from my shop. 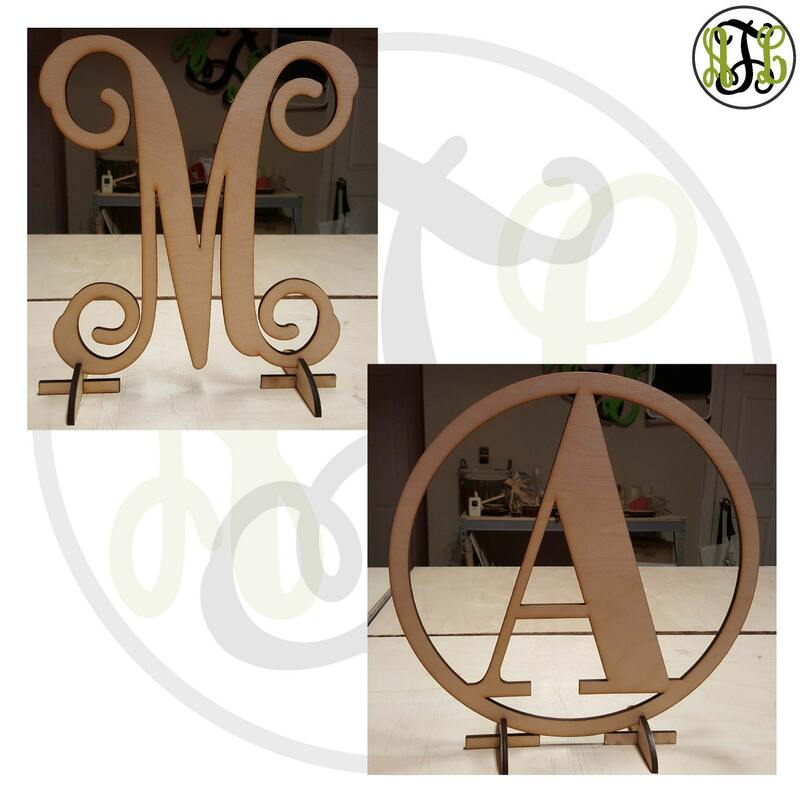 If you need the Base Stand ONLY, I will have to set up a private listing for you that will include a minimum $6 shipping and handling charge in addition to the price listed here. Fast shipping! Super cute item.bCan’t wait to decorate it !! 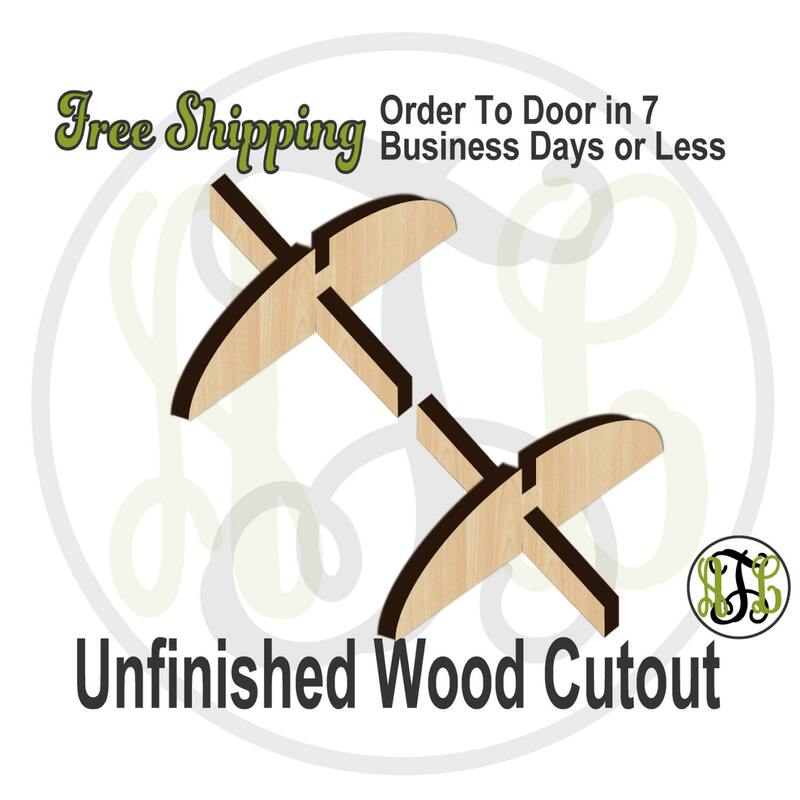 Wonderful you create the bases to give cutout designs flat surface use. Thanks! Perfect fit. The tail goes in nice and snug. Exactly what I need for my project. Fast and free shipping too.